Hong Vu joined Learn Vietnamese With Annie since July 2015. She is now a full time teacher at Learn Vietnamese With Annie. She has a B.A degree in Linguistics from University of Social Sciences and Humanities. 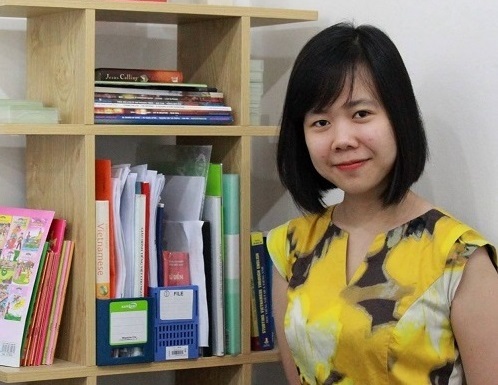 Before joining us, she had three years of teaching Vietnamese part-time. She's especially experienced in teaching children, and has taught students from Korea, USA, Australia, France, Poland, Catalonia, Russia, Netherlands, etc. She speaks English and Korean (Intermediate level).